Alfreton based Sercel England Ltd has been named Small to Medium Business of the Year in the UK Heart Safe Awards 2015. The national awards took place on Friday 9th October 2015 at The Midland Hotel in Manchester. The event welcomed 300 attendees to recognise individual life-savers as well as organisations and employers who invest in creating heart safe environments across the UK. Trevor James from Sercel England Ltd commented: "Many thanks to the judges for appointing Sercel England Ltd as winners of the Small to Medium Business of the Year. Winning this prestigious award will increase the company's standing in the local community and within the Sercel group of companies, and possibly inspire other Sercel sites. "It is wonderful recognition for the effort and application of our First Aid team. It will also give the company the credibility to spread the word about Heart Safe in the local community, and amongst other local businesses." Hand on Heart CEO and UK Heart Safe award organiser Victoria Burrows commented: "We have had a hugely successful event this year with more award entries and attendees than ever before. "The standard has been extremely high and so all nominees did extremely well to be shortlisted. "We are thrilled to name Sercel England Ltd as Small to Medium Business of the Year. It is a fantastic achievement for the organisation and one that is very well-deserved." 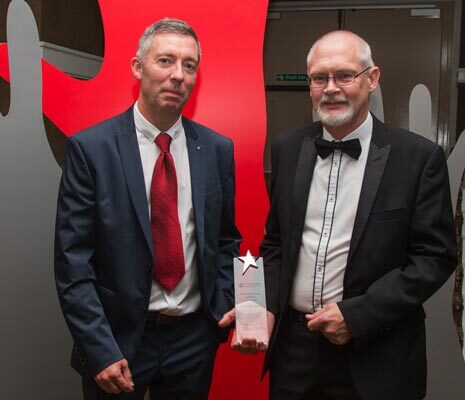 UK Heart Safe Awards were awarded across fifteen categories in total and other winners included the Royal National Lifeboat Institution and GE Healthcare, the Maynard Centre with the special recognition award going to Phil Davies London Fire Brigade. For further information about the UK Heart Safe Awards and for a full list of winners, please visit: www.ukheartsafeawards.co.uk.